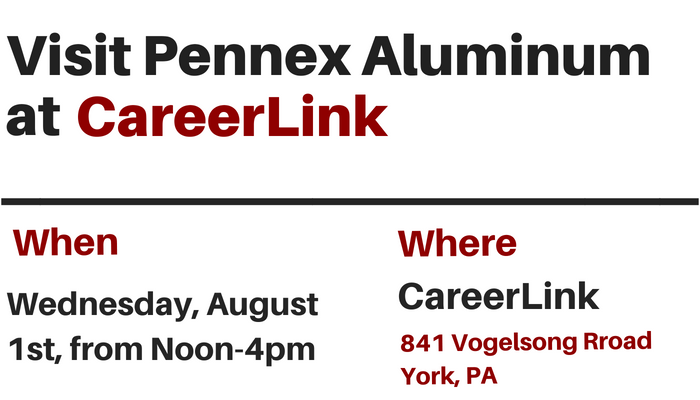 Come visit us at CareerLink, located at 841 Vogelsong Rd in York, on Wednesday, August 1st, from Noon-4pm. We’re hiring for entry level and non-entry level positions. We’d love to see you there! Click the button below to view our career opportunities! 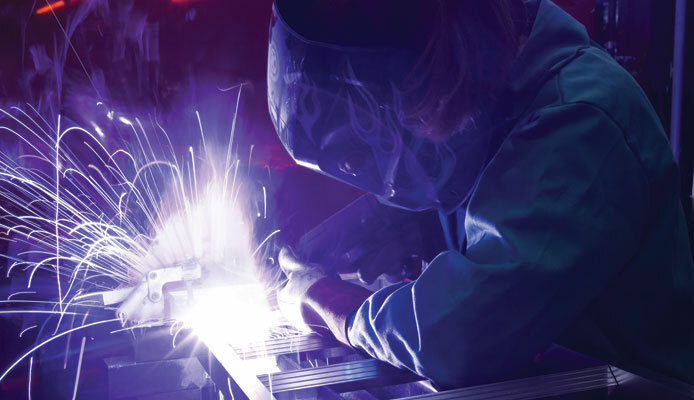 Pennex’s three business units; Casting, Extrusion and Fabrication are united in their dedication to providing customers stringent quality control, a wide selection of alloys and material availability, on-time delivery and outstanding customer service. 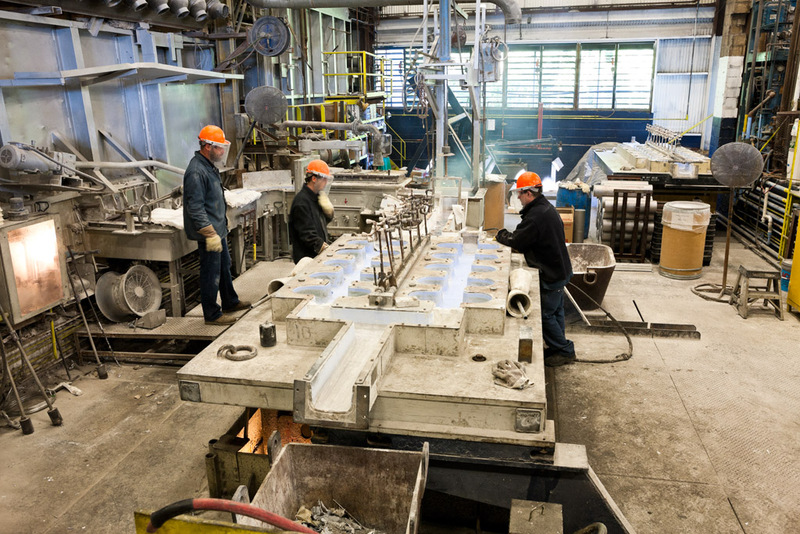 From alloy specifications to fabricated components, Pennex personnel have years of experience and extrusion industry knowledge to meet and exceed your extruded component needs. 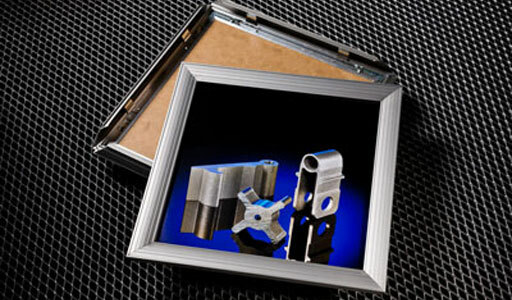 In addition to your billet and extrusion needs, Pennex offers a variety of value added services to include anodizing, painting, welding, CNC, punching, CTL and miter cutting, JIT and KanBan services. In addition to the most technologically advanced extrusion press in North America, Precezzi 12” 6500TP, Pennex’s has four high volume production part work cells incorporating robotics, CNC’s, laser inspection and vision systems. Generally recognized as one of the best in the industry when it comes to quality, Pennex’s facilities are IATF 16949:2016 (Leetonia) and ISO 9001:2015 (Wellsville/Greenville). Pennex’s Casting Business Unit produces over 220M pounds of extrusion billet annually at two locations, Wellsville PA and Greenville PA. 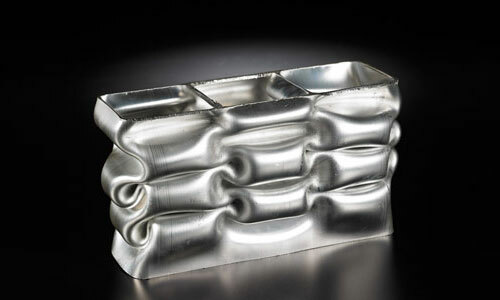 Cast billet diameters include 7”, 8”, 9”, 10”, 12”, and 14” in a log and CTL billet form and in a variety of 1XXX, 2XXX and 6XXX series alloys. Two extrusion plants, Wellsville PA and Leetonia OH, consisting of four extrusion presses ranging from 7” to 12” produce over 90M pounds of high quality extrusion annually. Market served include Tier 1 automotive, transportation, building and construction, electrical and machinery and consumer durables. 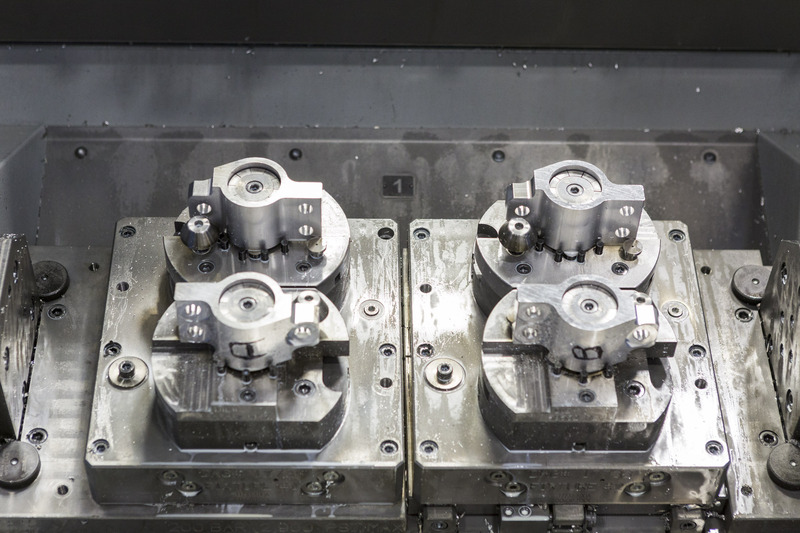 Two fabrication facilities, York PA and Leetonia OH offer a wide range of services from prototype production to automated, high speed CNC and robotic work cells. 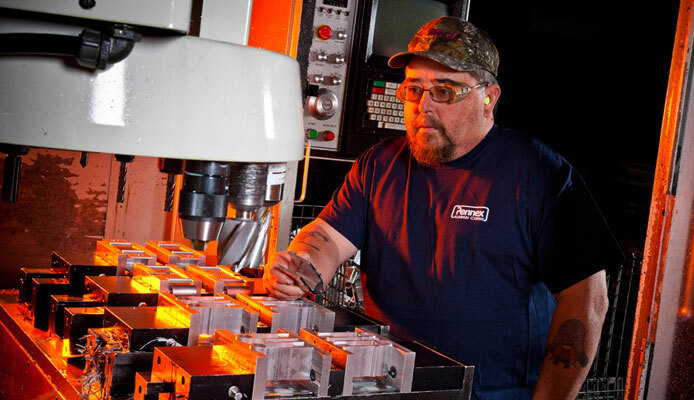 From job shop to production part quantities, Pennex has the capabilities to supply your fabricated, finished component. 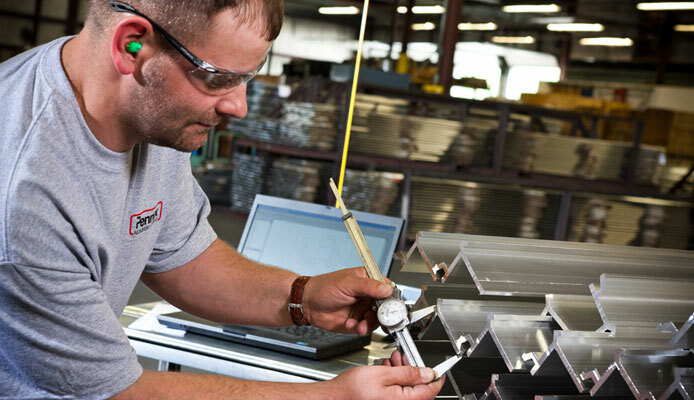 Since 1979, Pennex Aluminum Company has been supplying quality aluminum extrusions to our mid-Atlantic, Northeast, Southeast and upper mid-West region customers. 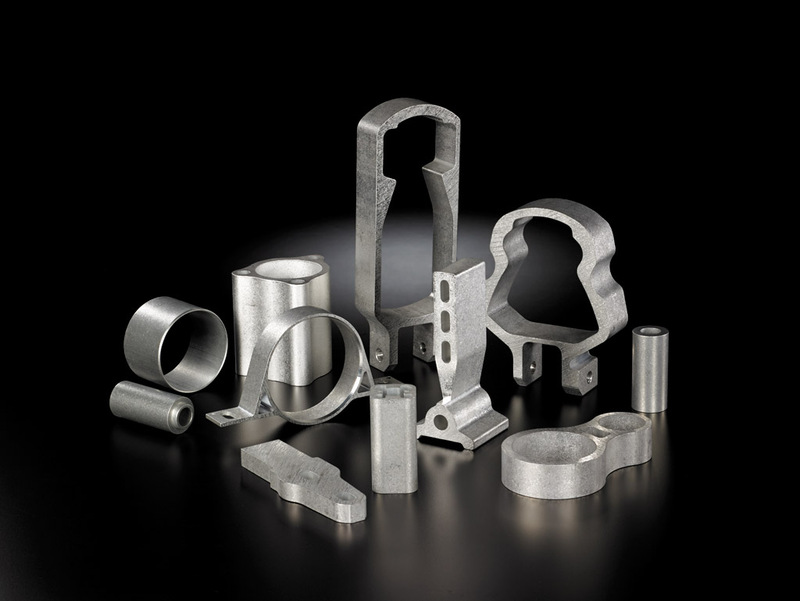 From casting billet through extruding custom shapes to fabricating finished components, Pennex services a wide range of aluminum extrusion markets to include automotive, transportation, building and construction, electrical and machinery, consumer durables and distribution. 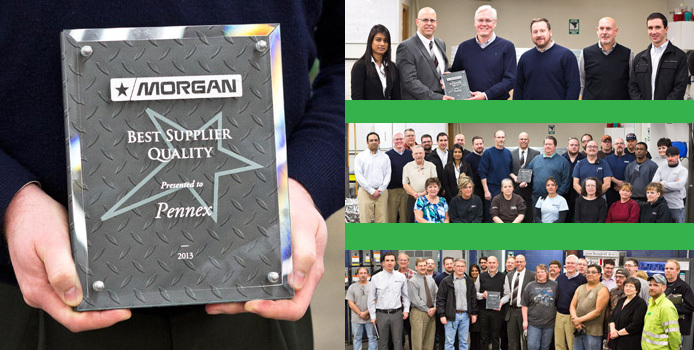 Our goal is to delight our customers with high quality extrusions delivered on time and at a competitive price all the while providing outstanding customer service. Pennex can support you through all phases of development and production in a wide variety of industries.